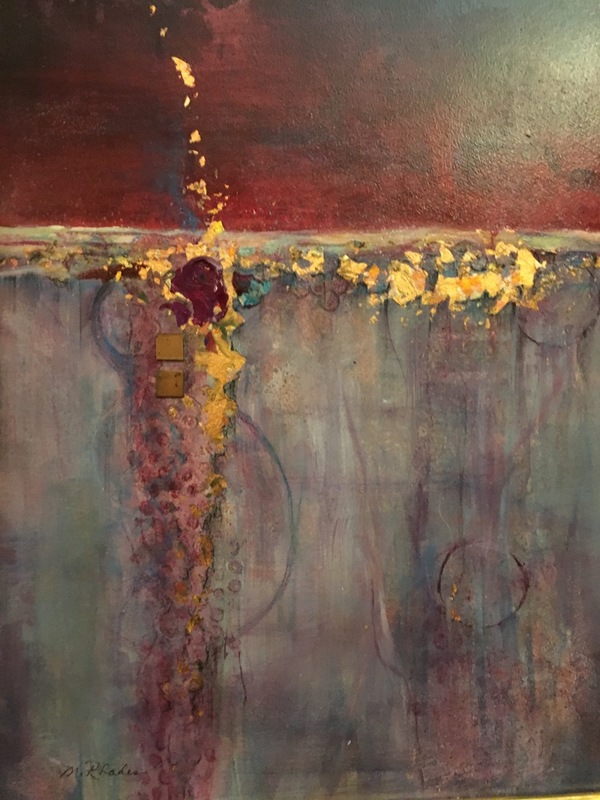 This month, our spotlight is on local artist Judith Lochbrunner. 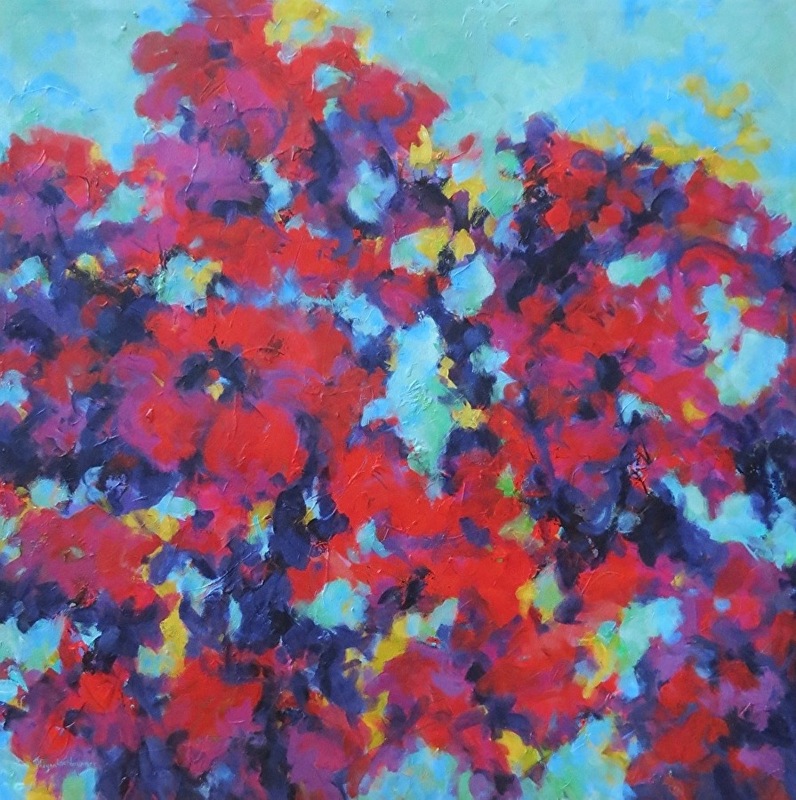 Judith’s abstract acrylic paintings primarily depict florals and other scenes from nature. In high school, she was able to further this passion by taking private art lessons, and she also took art classes in college and beyond. Her passion continued from there, taking on different forms through different seasons of her life. She and her husband and their daughters moved frequently. 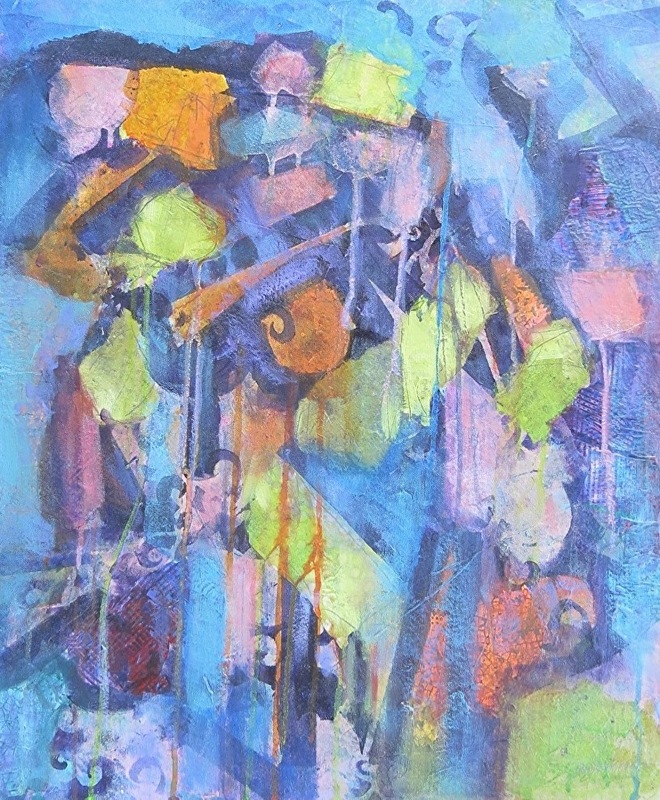 In each state that she lived in, Judy tried to grow through the art opportunities that each community offered, picking up different techniques and working with various mediums along the way. 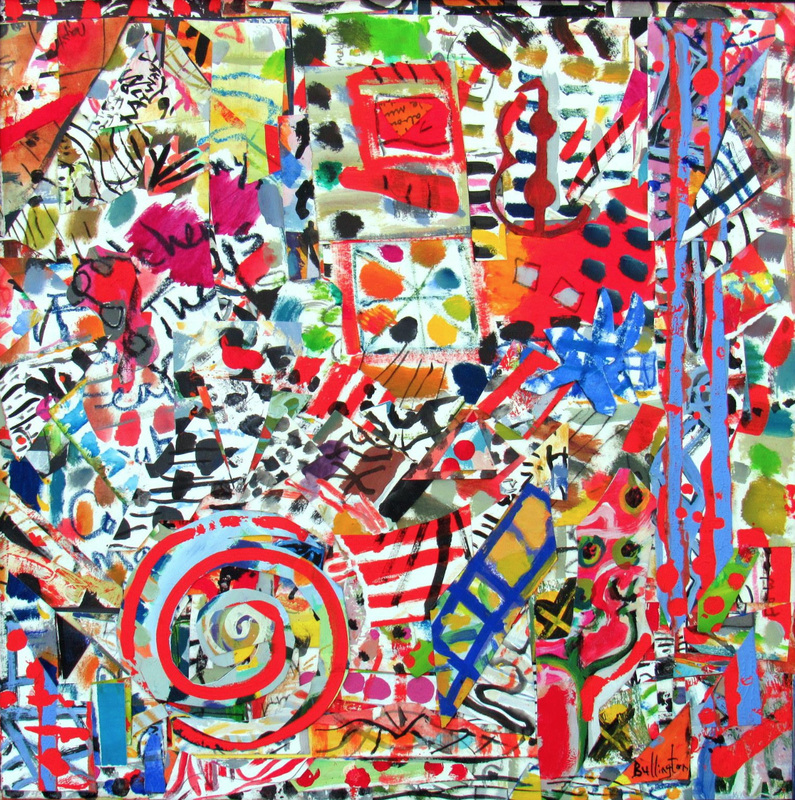 Some examples of Judy’s artwork. This love for nature and the outdoors and depicting these scenes in her artwork has made the Roanoke area a perfect place for Judy. 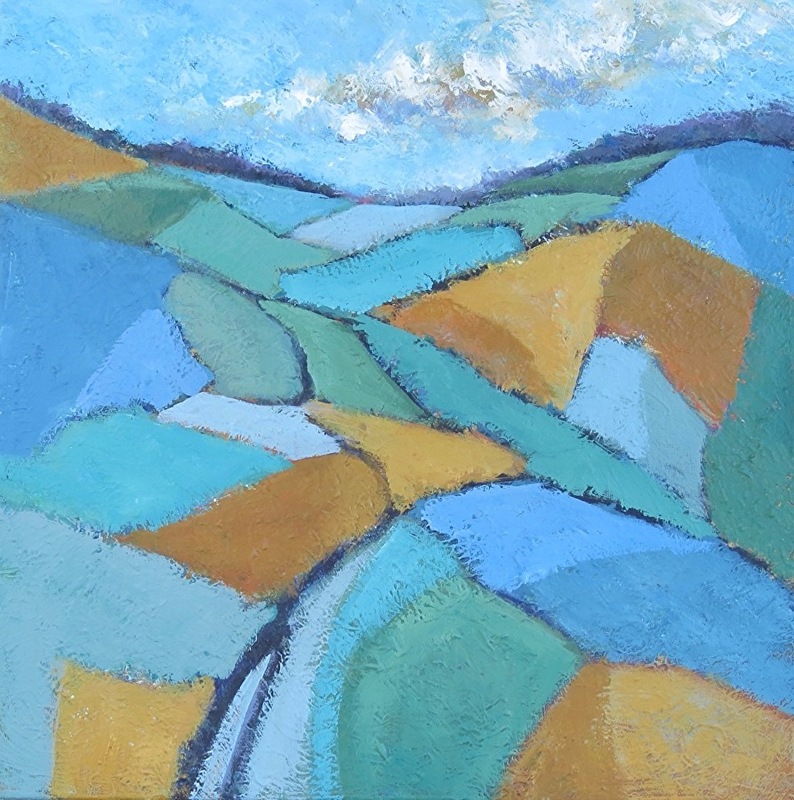 Since settling in the area in 2004, Judy is now in the season of her life where she is able to pursue art full time. 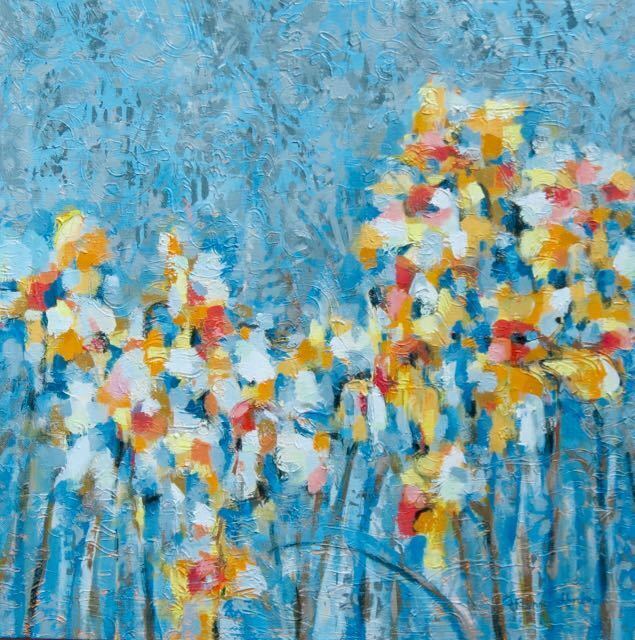 Additionally, she has been able to combine her passions for art and nature by painting outdoors, know as en plein air painting. 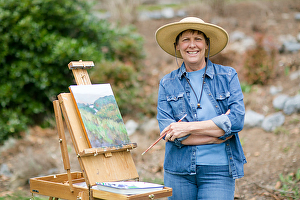 She is part of a group of other plein air painters, the Double Line Painters of the Blue Ridge, who venture out to various parts of Roanoke and the surrounding area during warm weather to paint the scenery around them. 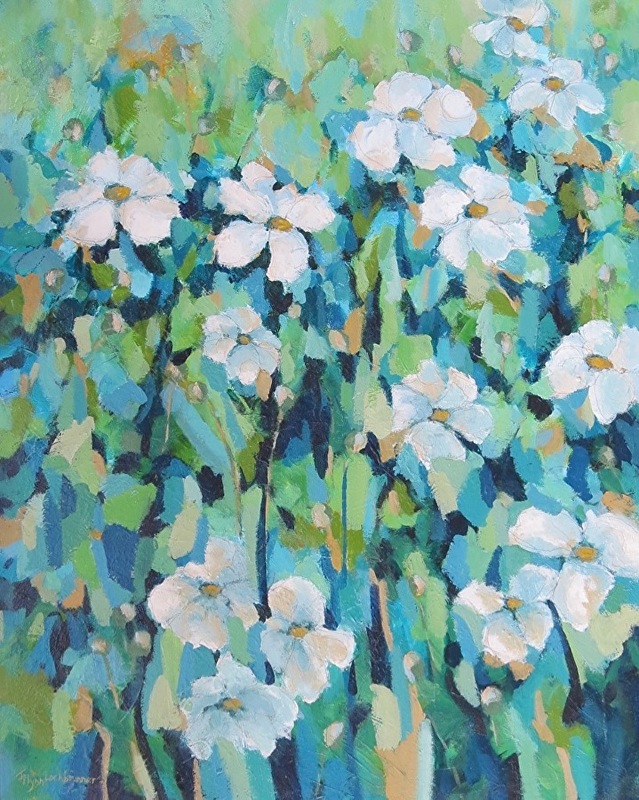 As she has embraced the challenge of plein air painting, she has chosen to work in the medium she loves most—acrylic. 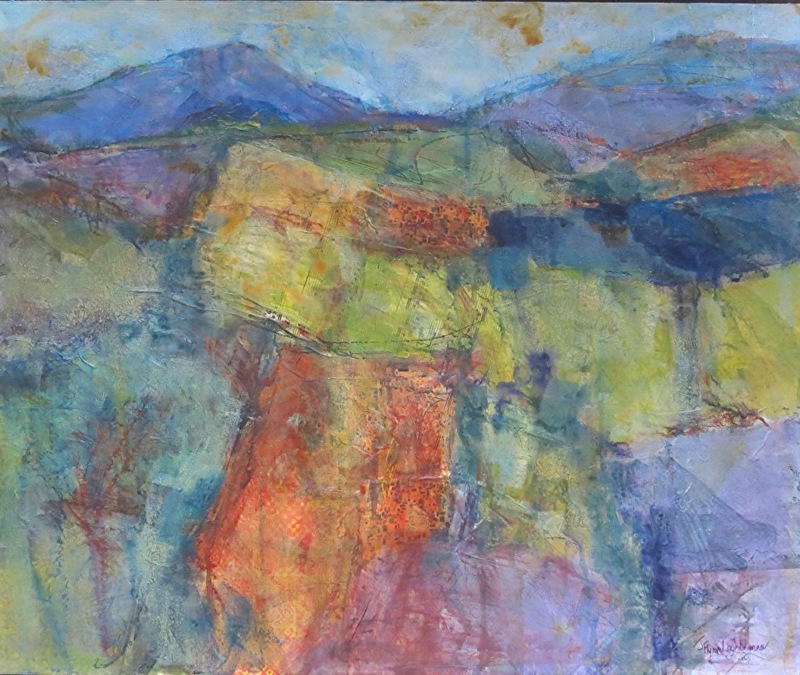 In addition to acrylic, Judy sometimes does some mixed media collage as part of her paintings. “I can draw in with colored pencils or chalk. I love that there are other sorts of materials I can use on that surface to make it more interesting and give me some more flexibility,” she said. 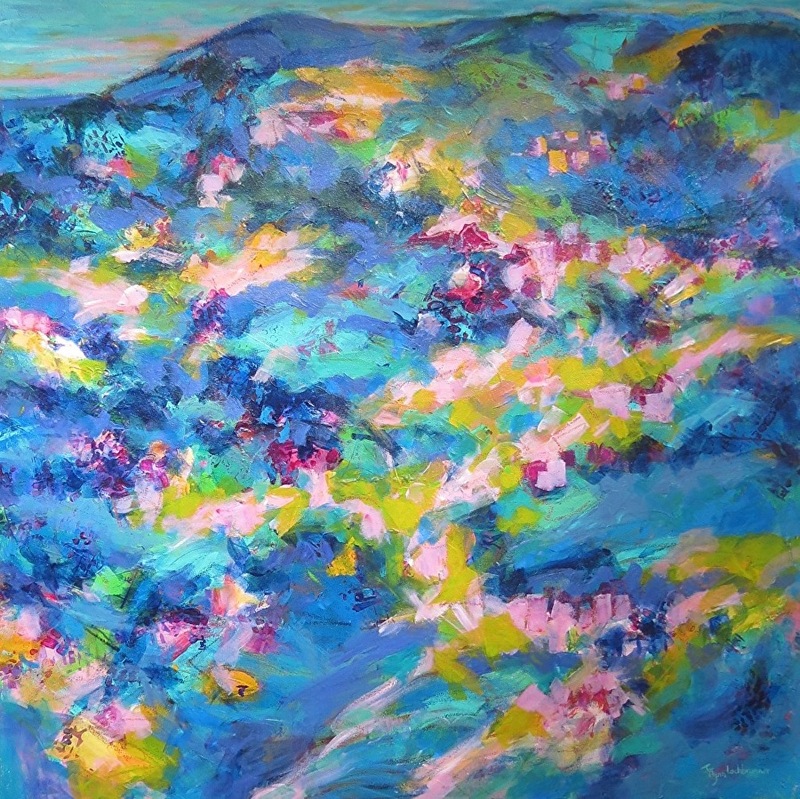 Judy describes her abstract paintings as loose, striving for the perfect balance between giving her viewers enough of the scene but not too much. By working this way, Judy is capturing her perspective of the scene while inviting her viewers to experience her work in their own way. 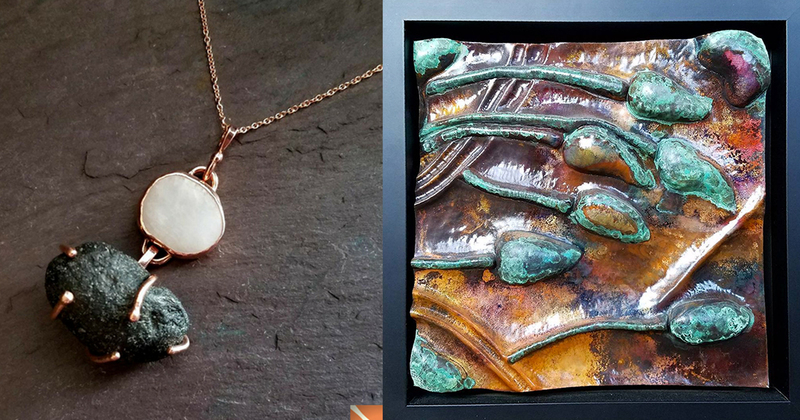 You can see Judy’s work on display at Black Dog Salvage, LinDor Arts, and 2nd Helpings in Roanoke, as well as Goose Creek Studio in Bedford and Alleghany Highlands Arts & Crafts Show in Clifton Forge. 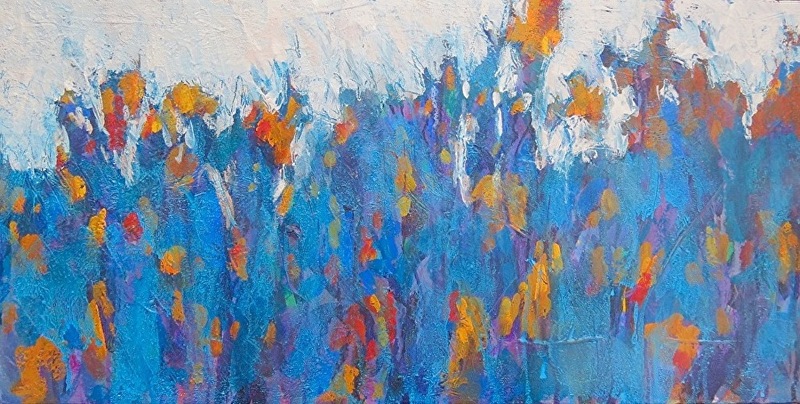 In April, she will participate in a show called Art in the Heart of Hillborough, in NC. 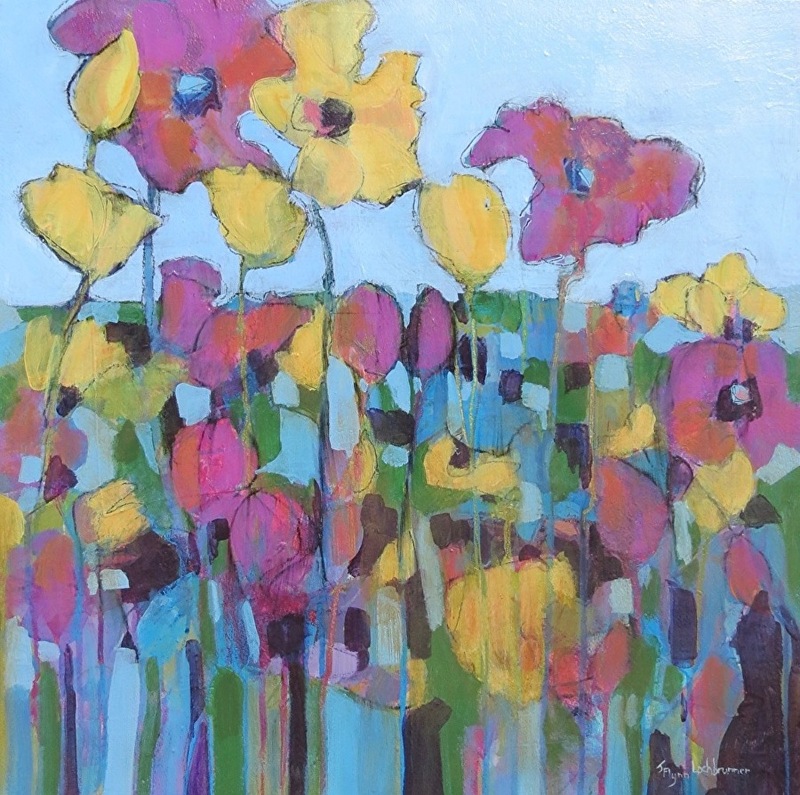 She also participates annually in the Botetourt Open Studios Tour held in October. When Judy is not painting or gardening, you can find her spending time with her husband and family and doing other outdoor activities including walking, hiking, and exploring. 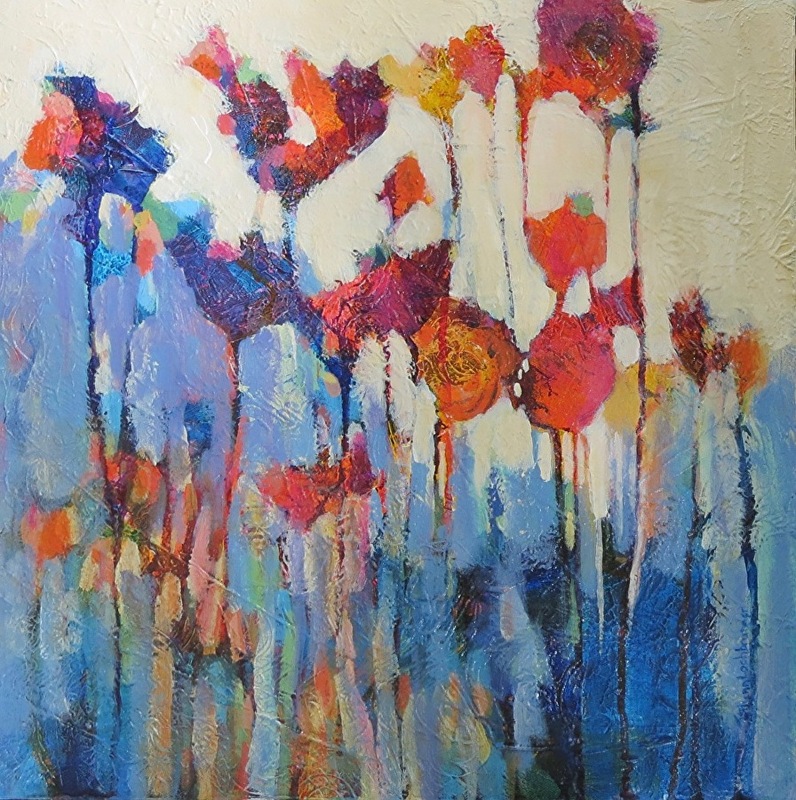 For more information about Judy and her artwork, you can visit her website. You can also follow her on Facebook and Instagram.